Medical vocabulary for ESL students should focus on teaching some of the basics. 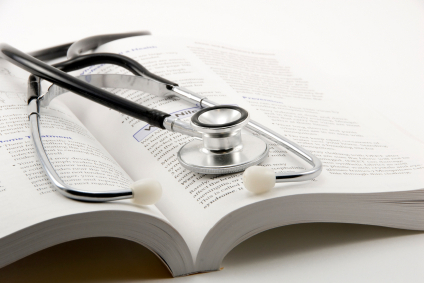 Medical vocabulary is a specialized field, and there are plenty of very complex medical terms that doctor's use. In fact, entire dictionaries are devoted to the field of medical vocabulary and to understanding what the names of diseases, medicines and conditions mean. However, most of these complex medical words are not necessary when teaching medical vocabulary to ESL students. Instead, focus on fundamental medical concepts that a person new to America may need to know. Whether you are a teacher or an ESL student, learning medical vocabulary involves selecting a list of appropriate vocabulary words and learning their definitions. Medical vocabulary can be some of the most important words an ESL student needs to learn. Without medical vocabulary, it could be difficult or impossible for a non-English speaker to get the help he or she needs in the event of a medical emergency. Nurse: Nurses also provide care, but are not qualified to diagnose illness or disease. They provide supportive care to patients who are treated by doctors. Hospital: A location where you go to get medical care. Intensive Care Unit: The part of the hospital where you are admitted to stay if you need continuous monitoring or continuous care. Pharmacy: A place where you go to get prescriptions filled (also called a "Drug Store"
Teaching ESL medical vocabulary can be difficult. Students need to understand the meaning of words that may be hard to illustrate, such as an exam. Acting out scenarios of visits to a doctor's office can be helpful in teaching medical vocabulary to ESL students. Hospital English contains a list of "English for the Medical Professional." You can click on a word to hear the word, so you'll be able to learn how to pronounce it properly. Here at YourDictionasry you can review an article on ESL and Dental Vocabulary words, along with some links to other sites that offer medical dictionaries online for ESL students. The Business English site features "ESL for Pharmacy"
"Medical Vocabulary for ESL." YourDictionary, n.d. Web. 21 April 2019. <https://esl.yourdictionary.com/lesson-plans/medical-vocabulary-for-esl.html>. Medical vocabulary for ESL students should focus on teaching some of the basics. Medical vocabulary is a specialized field, and there are plenty of very complex medical terms that doctor’s use. In fact, entire dictionaries are devoted to the field of medical vocabulary and to understanding what the names of diseases, medicines and conditions mean. However, most of these complex medical words are not necessary when teaching medical vocabulary to ESL students. Instead, focus on fundamental medical concepts that a person new to America may need to know.